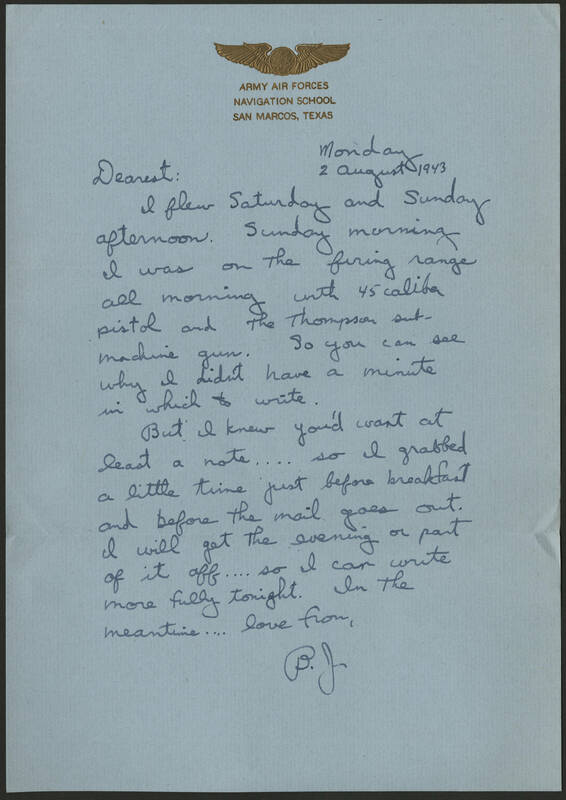 Monday 2 August 1943 Dearest: I flew Saturday and Sunday afternoon. Sunday morning I was on the firing range all morning with 45 caliber pistol and the Thompson sub-machine gun. So you can see why I didn't have a minute in which to write. But I knew you'd want at least a note . . . . so I grabbed a little time just before breakfast and before the mail goes out. I will get the evening or part of it off . . . . so I can write more fully tonight. In the meantime . . . . love from, B.J.